Join Docomomo US Chicago as a part of the nation-wide “Tour Day” of modern spaces, buildings, and neighborhoods. This year, the group will explore modern plazas and art, both interior and exterior, in Chicago’s Loop. Throughout the day, Docomomo Chicago will be stationed in the lobby of the Inland Steel Building in partnership with the Chicago Architecture Foundation’s annual Open House Chicago event. Inland Steel, designed by Skidmore, Owings & Merrill in 1956, pioneered the use of flexible interior space. Its lobby is a masterpiece of Modernist design and includes Richard Lippold’s sculpture “Radiant I”, commissioned for the space. 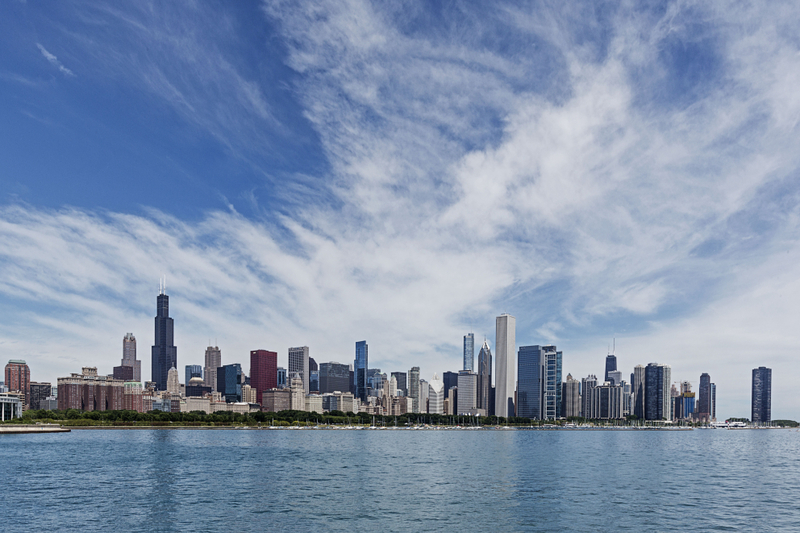 A walking tour (offered twice) will examine the landscapes, architecture, and monumental artwork in several iconic urban plazas: the Chicago Federal Center, home to Alexander Calder’s “Flamingo”; the James R. Thompson Center, home to Jean Dubuffet’s “Monument with Standing Beast”; the Daley Plaza and its untitled Picasso sculpture; Brunswick Plaza, home to Juan Miró’s “Miro’s Chicago”; and the Chase Tower, home to Marc Chagall’s ”Four Seasons”. Both tours will be led by Michael Finn, landscape architect and fine arts specialist with the General Services Administration; Doug Stapleton, curator at the Illinois State Museum; and Jason Molchanow, curator for the JPMorgan Chase Art Collection. Tours will depart at 12pm and 2pm from the Inland Steel Building at 30 W. Monroe Street. The tours are free and open to all. Advance registration is appreciated. To RSVP for the tours, please sign up using the Eventbrite links below. Tour attendees will receive a free brochure of public art in Chicago.